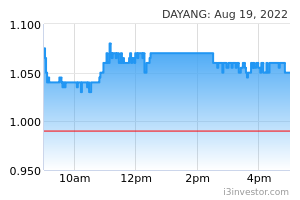 KUALA LUMPUR: Dayang Enterprise's recent rally to a high of RM1.74 hit a speed bump on Tuesday after Hong Leong Investment Research's downgrade saw it skidding to a low of RM1.36. At the close of trade, shares of the oil and gas services provider was down 24 sen to RM1.38 – the lowest close since March 6. It was actively traded with 106.35 million shares. Dayang's share price had been on the upward trend since Feb 4 when it was trading at 60 sen only. 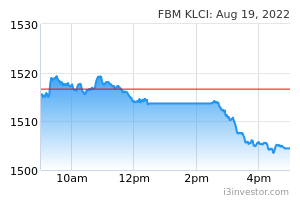 Tuesday's 24 sen tumble saw RM231.55mil erased as its market capitalisation was reduced to RM1.331bil. According to Bloomberg, Hong Leong Research downgraded the recommendation to sell from buy. The price target was raised to RM1.15 from 91 sen, implying a 18% decrease. Dayang's average price target was RM1.23. Bursa Malaysia had suspended the short selling of the shares earlier in the day aftet the share price fell 15 sen / 15% from the reference price. Short selling will only resume on Wednesday. Naim Holdings Bhd is the largest sharehilders in Dayang with 26.42% or 254.92 million shares. At the last traded price of RM1.38, it is trading at a price-to-earnings of 8.12 times while its forward PE is 12.11 times. speakup Steven Chan not fired yet from Kenanga?